#1 Take Note of Bad Odors. One of the first warning signs that your septic tank is not functioning properly is the presence of foul odors coming from your drains. If you smell sewage or a “rotten egg” odor, call a professional as soon as possible. You may be overdue for a septic pumping and experiencing blocked drain lines. If you notice wet areas around your septic tank or sudden signs of plant life growing near your system, you may have a leakage in your septic tank. It may also indicate that your leach lines are overflowing. In either case, this may demand a quick septic pumping before further damage occurs. Don’t ignore super slow drains or toilets in your home. While they may be frustrating to deal with, they are typically a red flag that your septic tank is compromised. You may have damaged pipes or your tank may need professional pumping. Much like slow drains, any abnormal sounds or gurgling coming from your sinks or bathtub drains can be your septic tank calling for help. 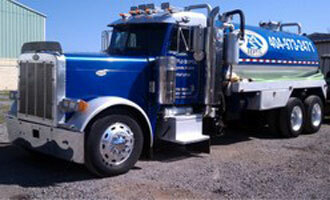 Last but not least, septic tank pumping should occur on a 3 to 5 year basis. A plumbing professional can give you a more accurate recommendation on timeframe based on the size of your septic tank and the number of occupants in your household. In general, if it has been over 5 years since your last septic tank pumping, you’ll need to get an appointment on the calendar as soon as possible.